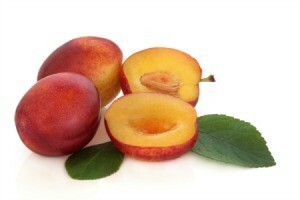 The Victoria, an English plum, is the best known of all eating plums. This is a guide about growing Victoria plums. I have Victoria plum trees. Some of the branches have broken off with the weight of the fruit, and the plums are still quite green. How can I get them to ripen? You are likely out of luck this year. Next year be sure to thin the fruits so the branches don't break. You can try to just put a few fruits on a table or counter top so they are not touching each other, and wait to see if they ripen or not. Much will depend on how not ripe they were when the branch broke. I had to compost about 200 pounds of nectarines when my tree lost a huge branch a few years ago (sad face! ).